The A'Design Award and Competition is for designers, innovators and companies that want to highlight themselves to attract the attention of media, publishers and buyers. 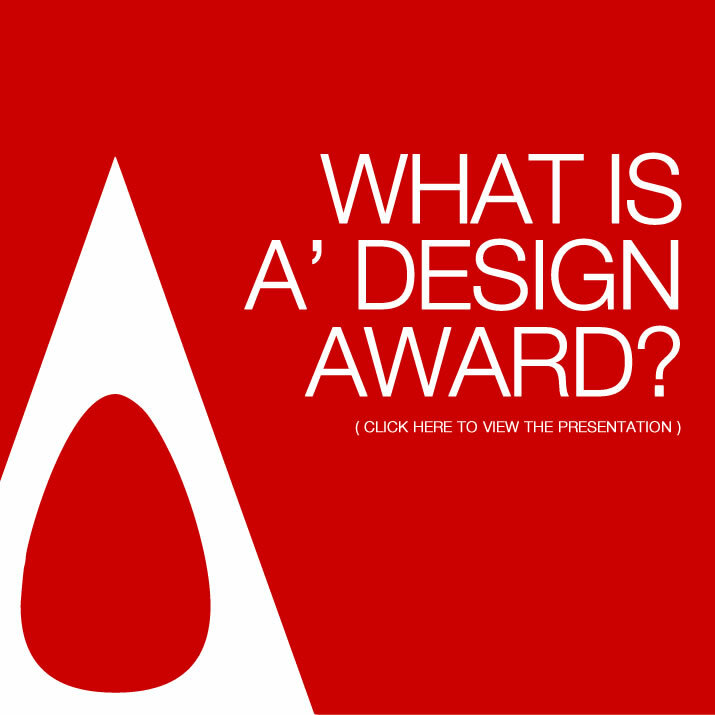 Click here to see our one-page presentation: What is A' Design Award? • Translation to 20+ Langs. In a world where there are millions of products and designs launch each year, the award was born out of the desire to underline the best designs and well designed products. The award-winning products and designs are highlighted to the international public via the A' Design Award Gala-Night and Exhibition in Italy and they are communicated to all relevant press across the world. The competition provides extensive and intense publicity to award winning designs, it is considered as a quality and high-return alternative to any advertising you might be running provided that you have a good design that could win the accolade. For more benefits click here. For the Winners' pack contents, click here. The A' Design Award & Competition was developed after a scientific research study based on prior analysis of thousand other design competitions as well as ethnographic research and survey of over five-hundred designers and brands who take part in design competitions. The mission of the A' Award and Competition is to provide a fair, ethical and competitive platform for companies, designers and innovators from all design fields with different experience levels, diverse disciplines and market focus to compete on, while providing them a global audience to showcase their success and talents to. The A' Award and Competition aims to act as blender; to bring together designers, companies and the press. Learn why it is called A' (A-Prime) Design Award. Highlight, Advertise & Advocate good design, designers and design oriented companies. To channel the attention of press, interactive medias, design critics, distributors and buyers to the award winner. With its database of tens of thousands of press contacts, the competition aims to highlight existing products and designs which were developed with a good taste of design, our aim is to increase the publicity of good products and good designs, to provide designers and companies a solid excuse to shout-out that they have a good product, good design. A'Design Award is a great opportunity for designers to have a jump in their careers as the A' Design Award offers winners extensive marketing services to make use of the success of winning the award. The winning designs are also exhibited in Italy through the temporary MOOD: Museum of Design. Winners of the Award will have extensive press appearances, press release preparation and distribution. A'Design Competition does not ask any further money from the winners and aggressively pursues media opportunities for the winning designs for free. A' Design Award differentiates from any other design competition, design contest and prize by several aspects: The following adjectives are how we define ourselves: Collaborative, Innovator, Smart, Fair, Scientific, Thoughtful, Munificent, Beneficial, Philanthropic and Beautiful. Click here to learn why A' Design Award & Competition is a truly unique design award. The results are always published first to the designers, there will be a period given to both companies and the designers to get production rights and patents globally, a four month period to file for protection. Designers also recieve help and support from the A' Design Award for filing and application to protect their designs. The winning designs will be exhibitied in our Gallery and Museum in Italy. The winners can use the A' Design Award can use badges and stickers free of charge to further underline that their products and designs have been evaluated by a respectful organization and that their products have been marked as great designs. To see the competition timeline click here. The award is organized by OMC Design Studios SRL and its spinoffs. Learn more about us. And learn more about Why we are called the A-Prime Design Awards. A' Design Award and Competitions are organized and awarded annually in a wide range of categories. The are categorized into several subcategories: Industrial Design Competitions; Furniture Design Competition, Packaging Design Competition, Lightning Design Competition, Toy Design Competition, Digital Devices Competition, Vehicle Design Competition, Home Appliances Design Competition, Medical and Scientific Design Competition. Architectural Design Competitions; Architectural Design Competition, Interior Design Competition. Graphic Design Competitions: Interface Design Competition, Graphic Design Competition, Computer Graphics and 3D Model Design Competition. Meta Competitions: Social Design Competition, Idea Design Competition and Meta Design Competition Technical and R&D Based Competitions: Engineering and Technical Design Competition, Material and Texture Design Competition. Photography and Cinema Competitions: Photography and Photo Manipulation Design Competition, Movie and Animation Design Competition, Other Important Competition Categories: Fashion Design Competition Food and Culinary Design Competition, Arts, Crafts and Ready-Made Design Competition and the Unexpected Design Competition. A' Design Award has earned the patronage of the following institutions: Como Cultural Department, The Bureau of European Design Associations. Click here to learn more about the patronages. 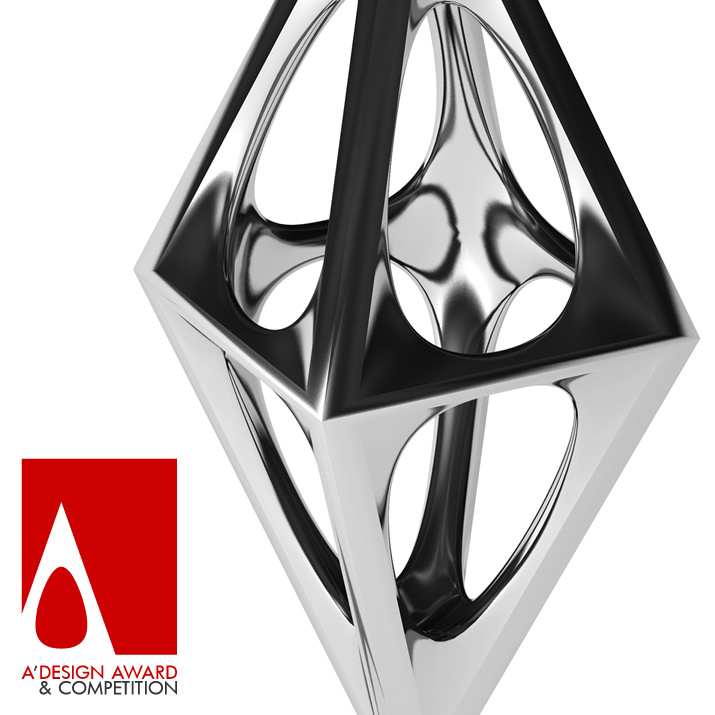 A' Design Award Trophy is unique and is realized in 3D Printing of Metal as it is not possible to realize with any other traditional technology. What is the Worth of A' Design Award? Click here to learn. • Please also have a look at our Testimonials or the A' Design Award in Numbers.